Si cancelas la reserva hasta 2 días antes de la fecha de llegada, el establecimiento no efectuará cargos. Si cancelas la reserva fuera de plazo, el establecimiento cargará el 100% de la primera noche. prohibido fumar dentro del hospedaje. 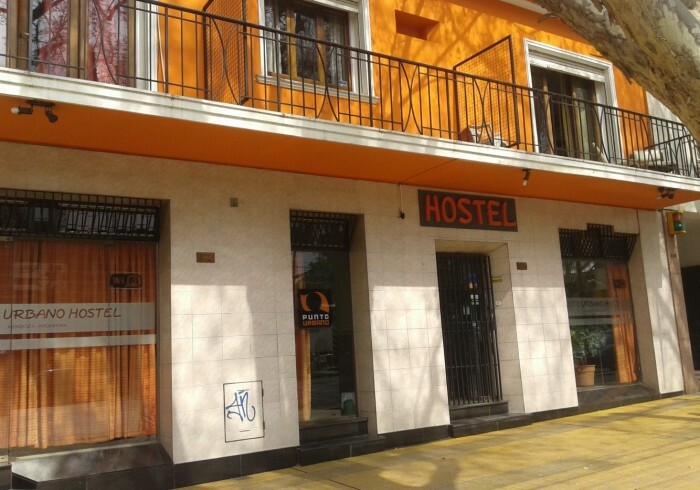 Punto Urbano is situated in the city center near several facilities. Security cameras & double doors to ensure safety Outdoor patio with hammocks & lounging chairs In-house sale of wine, beer & soft drinks English speaking staff So far, we have been offering our guests the very best out of our existing services: generous breakfast (includes pancakes, scrambled eggs, cereals, fruits, bakeries, tortitas mendocinas, drinks. ), free Malbec wine happy hour every night, washing machine and laundry services, several bathrooms, internet wifi, outdoor facilities (ping pong table , BBQ grill). Part of our development was also the focus on Argentinean culture, which led us to provide you (mostly free) night activities, among which are 'History of South America', 'Mate class', 'Argentinean asado', 'Empanadas cooking class', 'Fútbol' and 'Wine tasting'. Private tango and Argentinean folklore music classes are also given for groups. Above all, we emphasize the quality of service of our friendly staff and the highest standards in terms of cleanliness. Many outdoor activities will also be offered to you (horseback riding, wine tours, trekking, hot springs) that will allow you to get to know the Mendocinean region and provide you with the best souvenirs! Of course, our staff will kindly help you suiting your choice and give you the best advises in order for you to get the best out of your expectations. Come spend a few nights with us and be part of our development!